Miami Mold Specialists Announces New 24/7 Rapid Response, Emergency Marine, Aviation, Commercial Divisions. Miami Beach, FL, November 19, 2017 –(PR.com)– Recent weather conditions prompt increase in varied mold insurance claims. Miami Mold Specialists responds. Florida as we all know are picture it as, is a sub tropical proverbial paradise. For those that do not know, Florida is also an extremely moist state almost all year long. This translates into a different type of bone chilling cold, even when in the 40’s or 50’s. The point is, regardless of whether it is spring, summer, fall, or winter especially in South Florida; it is almost always moist and muggy, triggering persistent and consistent mold problems all across the state of Florida. With recent record setting Hurricane Irma blowing through Miami causing catastrophic damage and flooding, compounded by extenuating subsequent weather patterns that followed shortly after, have all contributed to a potential widespread mold epidemic. As such, Miami Mold Specialist, a veteran with 30 years experience in the indoor air quality and mold remediation industries, has responded to the current hazardous conditions on several fronts. First and foremost, the owners of Miami Mold Specialist have been raising awareness about toxic mold across the nation for years. Over the past year, Miami Mold Specialists were featured in many local newspaper write ups, and on numerous media outlets for bringing attention to a large number of toxic mold scenarios and situations. Furthermore, understanding the seriousness of the situation at hand, Miami Mold Specialists went on the offensive and took action on numerous fronts. In business terms, new specialized divisions were created, with additional 24/7 emergency services for those extra urgent situations. In awareness terms, Miami Mold Specialist has been proactively raising awareness through numerous media outlets, with fellow contractors and business owners, as well as many influential people. 24/7 Commercial Indoor Air Quality and mold removal services ranging from entire commercial or large multi unit buildings to complex mold remediation on HVAC systems and coils. Miami Mold Specialist Adds New 24/7 Marine Mold Removal Division for Boats, Luxury Yachts, Charter boats, Large Vessels, and Cruise ships. 24/7 emergency services for small airplanes to large commercial airlines, are just one of Miami Mold Specialists new indoor air quality and mold removal services. 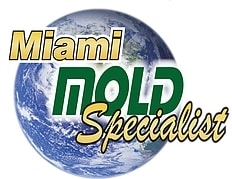 Miami Mold Specialist has also recently been featured on 15+ South Florida newspapers, 100s of local and national media publications, featured on channel 4 news, is part of 7+ accredited organization’s, received several up to date community services awards, maintains stellar positive reviews online, has served thousands of customers in the metro Miami and Ft. Lauderdale area since Hurricane Irma, and has also created a special Hurricane Irma Relief Program for people suffering from toxic mold stemming from related flooding and water damage. Specializing in high tech mold inspections, 3rd party “conflict free” mold testing, and rapid mold removal services. Offering rapid response, eco-friendly mold remediation services, and a signature 2 year warranty. Miami Beach Mold Inspection, Mold Testing, and MoldRemediation Experts Service the following Areas: Miami Beach, South Beach, North Miami Beach, Bal Harbor, Star Island, SoBe, Dodge Island, Venetian Islands, Bayshore, Mid Beach, North Beach, Surfside, Sunny Isles Beach, North Bay Village, Bay Harbor Islands, Eastern Shores, Golden Beach, Wynwood, Upper East Side, Miami Shores, Biscayne Park, Miami, FL.